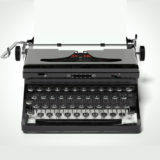 Editors Note: This content was contributed by Strainprint Technologies. Berg finds that when it comes to business, everything that is old is new again. “Throughout history, we’ve seen recurring behavioural, technological and business themes. The key is identifying these themes and not ignoring their calling.” He continued by applying his technology experience to his work in the cannabis industry. “When I entered the workforce, it was the end of the nineties, right at the peak of the boom.” Berg recalls. “It was a unique time in history – and as we all know everything came to a massive halt after the Y2K bubble burst. While an extraordinary amount of technology was developed during this time frame, there was also a lot of waste and a general sense of inflated value that ultimately hurt and undermined the capabilities of software companies who had been thriving. I saw a lot of companies fall as fast as they rose, which was unfortunate but ultimately and learned a lot from their experiences.” He carried over these lessons to his work at Strainprint. Berg describes the importance of building strong foundations for any company. “Form follows function,” he said as he recounts Strainprint’s early days. “When we set out to build Strainprint we spent a year in stealth mode. During this time we built out a lot of core scalable infrastructure that would be the key to the growth of our company.” The result was a technology infrastructure designed to empower cannabis users, medical professionals and researchers with more than 38 million data points collected on cannabis chemovar (strain) efficacy for more than 350 medical conditions with 60 associated symptoms. 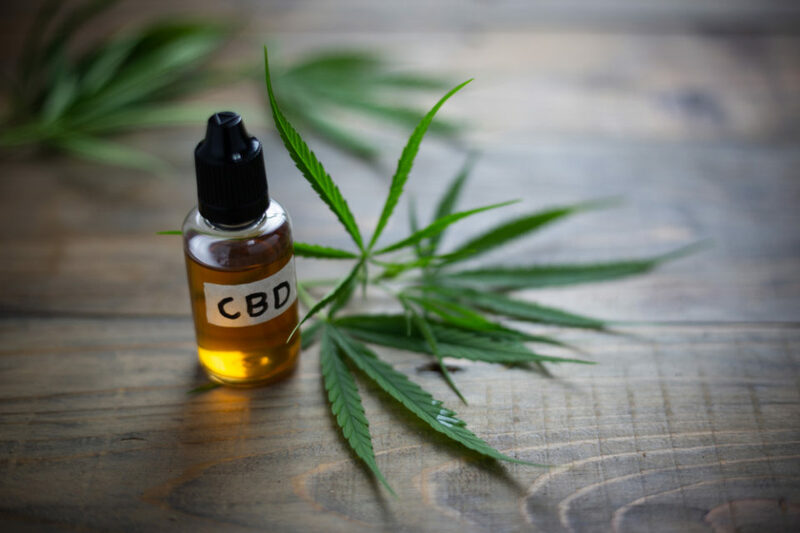 Like many people, Berg’s personal journey with cannabis began with recreational use as a teenager, but with the birth of his second son, the concept of cannabis as medicine began to take on new meaning. Living with Crohn’s disease, an inflammatory bowel disease, Berg’s son relies on expensive IV infused biological drugs to help control his disease. While in remission, the long-term use of his medications could lead to lymphoma, a risk Berg and his family aren’t willing to take. While developing Strainprint, Berg began to recognize the potential of cannabis therapies for diseases like Crohn’s. As Berg describes it, Strainprint is about building a series of tools that people enjoy using because they’re improving their quality of life, helping to use cannabis in a way that represents being mindfully medicated. User feedback is key for Berg, who leads the roll-out of updates for theapp based on user feedback every two weeks. Strainprint’s work is a fine balance of building and retaining a community of users. At a growing at a rate of 20 per cent new users per month, the team continues to manage partnerships and relationships with medical professionals, researchers, labs, licensed producers, processors and customers alike to ensure that Strainprint’s data is utilized to drive research on cannabis. Berg is particularly excited about the recent launch of Strainprint Community, a place where the canna-curious and experienced patients can co-exist and discuss any cannabis or treatment-oriented topic. The community, which is directly integrated with the Strainprint mobile app, provides a foundation for education, support and expanded information based on the most up-to-date data findings. This story is contributed by Strainprint Technologies. Cannabis data company Strainprint announced that VIVO Cannabis Inc. (TSXV: VIVO) is the latest top-tier Canadian licensed producer to subscribe to Strainprint Analytics. VIVO is a leading, vertically-integrated, cannabis business with a collection of premium brands targeting unique consumer segments and needs across both medical and recreational channels, both in Canada and other international markets. Strainprint said that VIVO will leverage the strategic subscription to coincide with the launch of its Beacon Medical brand, a standardized pharma-grade cannabis that’s clean, consistent and repeatable — qualities sought by physicians and patients, which stands for setting patients on the clearest path to treatment. “With a company tagline like ‘living life’, VIVO clearly embodies the same passion, focus, and commitment as Strainprint with the ultimate goal to improve lives through the use of quality cannabis products and services. We are delighted that they have chosen to work with us” Said Strainprint CEO, Andrew Muroff. VIVO is based in Napanee, Ontario, is recognized for trusted, high-quality products and services. It holds production and sales licenses from Health Canada and operates world-class indoor cultivation facilities with proprietary plant-growing technology. VIVO has a collection of premium brands targeting unique customer segments, including Beacon Medical, FIRESIDE, Canna Farms, and Lumina. The Strainprint experience helps create clarity for patients and is right in line with this mission. Beacon Medical plans to leverage data insights from the app, encourage more patients to track their treatment sessions for the best results and provide redeemable discounts and merchandise for engaged users on a custom-branded version of the app. 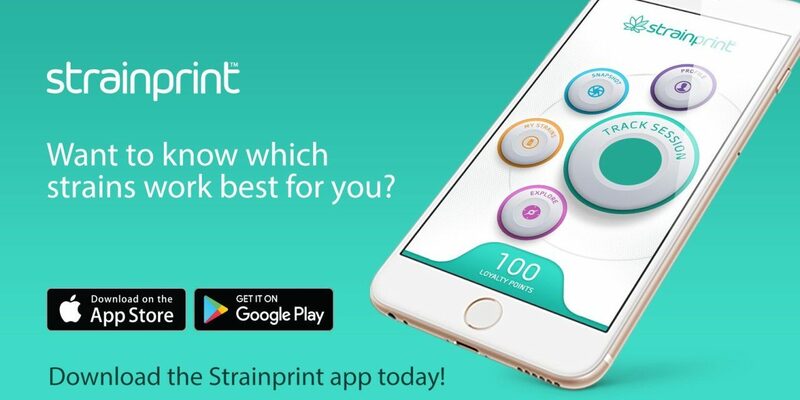 Strainprint can provide access to more than 30 million data points on strain efficacy from more than 800,000 anonymous personal health records – the largest and most granular scientific data set of its kind in the world. 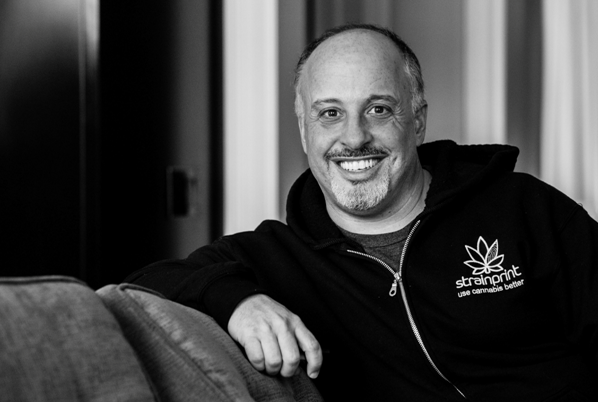 “Of course, my experience with cannabis led me to where I am with Strainprint today,” says Andrew Muroff, CEO of Strainprint Technologies Inc.
Now Muroff is leading the largest longitudinal cannabis study in North America. Muroff has found the perfect union between cannabis, his experience, and what’s possible when you’re a bona fide “data nerd”. “I was a recreational cannabis user in my teens and all through my MBA and Law School,” Muroff describes, later going on to spend 20 years leading public and private tech companies where he says he “cut my teeth” in business through dot-com boom, where he “lived through the bust” as he describes it. 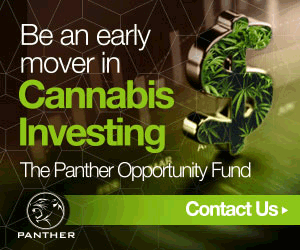 Looking for the next promising business opportunity, he recognized cannabis as a similar opportunity and trajectory to the tech industry of the mid-1990s. “I felt confident in the therapeutic promise of cannabis because of my experience with it,” says Muroff. In 2015, he turned to cannabis when he was seeking alternatives to traditional anti-inflammatories (like Advil) to treat the pain from arthritis. “I was surprised at how effective high CBD cannabis was, without the impairment.” Muroff also suffered back to back sport-related concussions due to his active lifestyle, where cannabis supported his recovery. It’s safe to say, Muroff, was fully convinced that cannabis was his next great opportunity. And that is how Strainprint was born. Strainprint is the leading cannabis data and analytics provider. Since Feb 2017, tens of thousands of cannabis patients from across North America (mainly Canadian ACMPR patients) have tracked over 750,000 personal health records on their free mobile app (personal digital health journal), generating over 28 million data points from real-time patient use. It is by far the largest and most granular longitudinal, observational dataset on cannabis in the world and it’s growing organically at 20% per month. These are not qualitative “reviews” like you find on sites like Leafly or Lift, but rather research-focused, doctor-designed medical outcomes of chemovar efficacy and real-world patient use of lab-verified products (from consistently tested Canadian ACMPR producers). 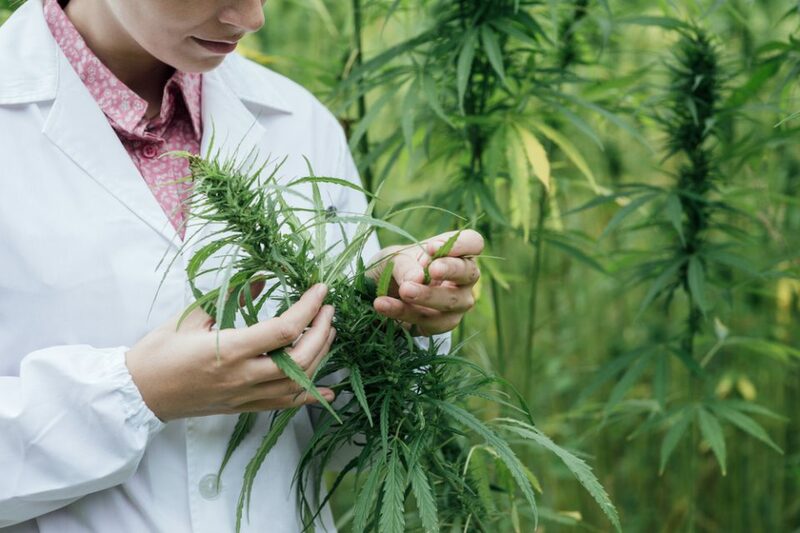 It is this scientific rigor that differentiates Strainprint from everyone else in the space and has helped them to become the platform of choice for researchers looking to do clinical research and academic cannabis study. To that point, in March 2018 Dr. Carrie Cuttler from Washington State University published a study on cannabis use for treating anxiety, depression, and stress, based entirely on Strainprint data, in the Journal of Affective Disorders, with some key medical findings. It was the first peer-reviewed medical journal to validate their data, but stakeholders can expect more to come. A number of other leading medical institutions in Canada, the U.S. and Israel will begin using the Strainprint platform for driving their own research in the coming months with built-in validated questionnaires and custom surveys. While the Strainprint app is free to patients, they sell subscription access (SaaS) to their aggregated, anonymous data through their Strainprint Analytics web-portal (http://strainprintanalytics.com/). Strainprint Analytics is the place for visually understanding and mining their incredible data in real-time. Their subscriber customers are licensed producers (growers), medical clinics, government & biotech (amongst others). The mobile app can be custom-branded for white-labeling research on the platform and it includes a fully-featured and customizable built-in loyalty platform that drives engagement. Producers use Strainprint Analytics for business intelligence and product optimization (ie. understanding what is working for what and what they should be growing). In Canada, it can also show them where and why their patients might buying products from competitors. Clinics, doctors, and large Pharmacy chains use it for patient treatment guidance because of it being the only scientific data source available. Governments use it for research and to help drive public policy around both the medical and recreational programs. Strainprint will soon launch tablet and kiosk products for care-giver and retail product support. 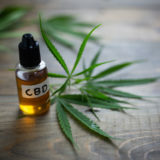 Along with it being a focus of his business life, Muroff holds cannabis as an important support to his busy work life, especially when it comes to his health and wellness activities. “I need to be active every single day,” says Andrew Muroff, 50. It’s high-potency cannabidiol (CBD) that provides crucial support for his daily workouts. He chooses to vape a CBD-only strain every day as a preventative support for past sports injuries and the pain from arthritis in his knees. “If you can find the right strain that works for you, the anti-inflammatory properties can be amazing,” he says. 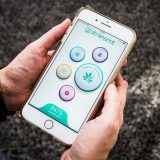 Muroff and Strainprint’s self-proclaimed “data nerds” live their mission of connecting cannabis to wellness, and it’s through sharing their stories that cannabis continues to get de-stigmatized. Strainprint is leading the way in the cannabis industry with its rich and robust medical patient data and sophisticated Business Intelligence solutions. 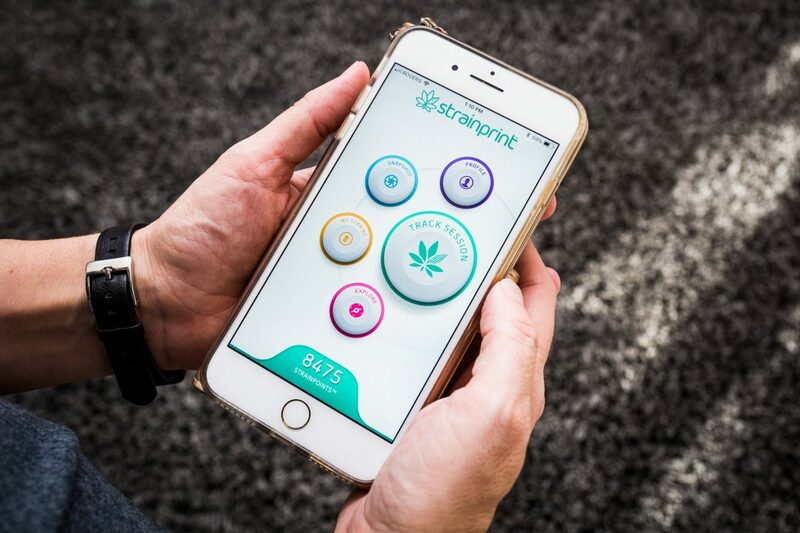 With a vision to advance the scientific understanding of cannabis and its legitimization as a therapy and to have the largest longitudinal study of cannabis use in the world, Strainprint is using Patient Generated Health-Data (PGHD) to help health professionals, producers, researchers and educators understand and make informed decisions about patient treatment. Starting as an idea back in 2014, one of the founders, Stephanie Karasick, first came up with the concept after becoming a cannabis patient and learning first hand the complexity of navigating cannabis as a treatment option. Shocked at how different each strain she tried made her feel, she kept a detailed written diary. Although she was very diligent and deliberate in her tracking, she couldn’t help but wonder if there was a better way for patients to track their use of cannabis. She searched for online tools, but found very little to help inform her as a patient about dosing and strain efficacy. That was the genesis of the Strainprint App. For patients, the outcome-tracking Strainprint App is invaluable. It is designed to help them easily journal their cannabis medication sessions and over time learn which strains work best for the symptoms they are treating. They can also explore which strains are working for others that are treating similar symptoms/conditions and learn more about the ingredients and efficacy of those strains. Since March 2017, tens of thousands of cannabis patients have tracked almost 700,000 personal health sessions on the app, generating almost 10 million cannabis data points. It is the largest and most granular longitudinal, observational data set on cannabis in the world and it’s growing at 20% per month. These are not qualitative “reviews” like you find on Leafly, Weedmaps or Lift, but rather research-focused (doctor-designed) medical outcomes. While Strainprint gives the app away to patients for free, it offers a web-based Analytics platform for businesses to visually understand and mine anonymous data in real-time. Producers (growers) use Strainprint Analytics for business intelligence and product optimization (ie. understanding what’s working for what and what they should be growing). Clinics, doctors, and large Pharmacy chains use it for patient treatment guidance and research. Biotech’s use it for product formulations and governments use it to help drive public policy. As the database continues to grow, so has the interest in using Strainprint data for defining clinical research and medical cannabis studies. The good news is that the platform is research ready. The mobile app can be custom-branded (white-labeled), as well as configured with validated questionnaires and custom surveys. The results can be accessed in real-time in Strainprint Analytics and can easily be compared with a full global data set. The platform is ethics-ready and privacy compliant for North America and soon Europe. “We are excited to see the many ways that Strainprint data is helping patients, clinicians, and researchers to understand cannabis in a scientific way. 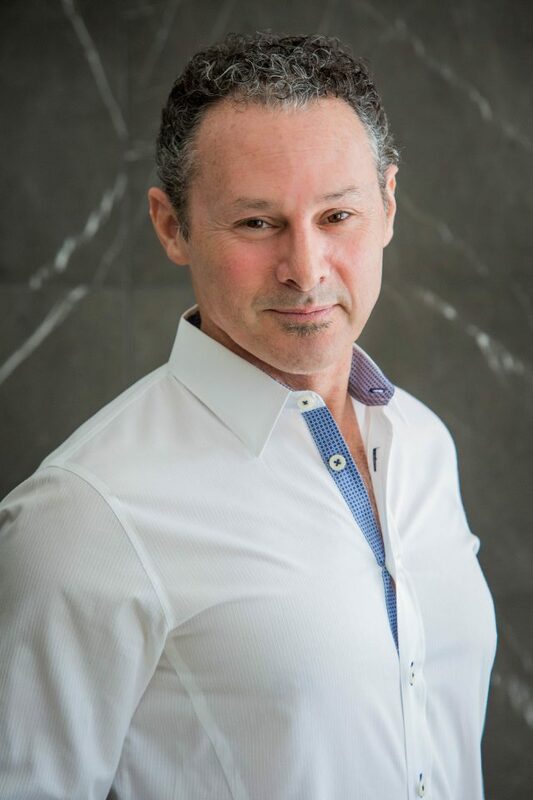 Our platform all cannabis patients to inform their doctors and the research community presents a unique opportunity to advance research and advocacy for medical cannabis” said Strainprint CEO, Andrew Muroff. Strainprint recently closed a Cdn.$3.9 million Series A capital raise and is focused on continued product development and talent acquisition to execute strategic initiatives in the coming year. With two major product releases since March 2017, the Strainprint team is preparing for entry into international legal markets outside of North America and is evolving its product line to support the legalization of adult-use cannabis in Canada. Strainprint’s self-proclaimed “datanerds” are changing how the industry views cannabis, one cannabis session at a time. Toronto-based cannabis data and analytics company Strainprint closed a $3 Million (Cdn.$3.8 Million) Series A private placement deal. 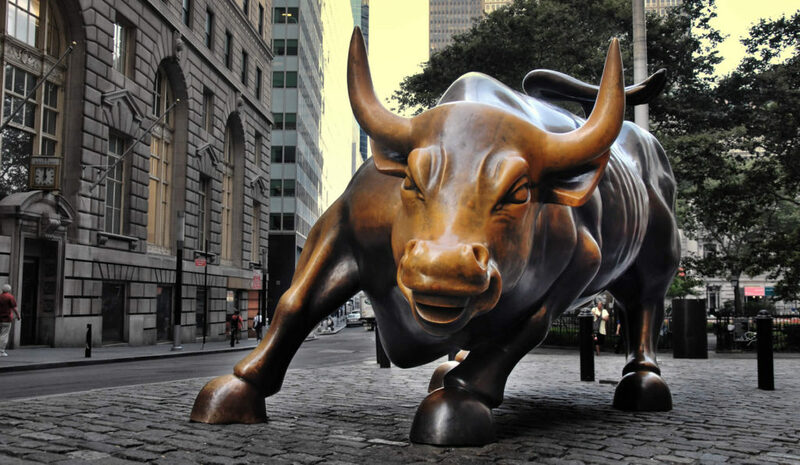 The round was led by strategic industry investor, Cesare Fazari, Chairman of Molecular Science Corp and seed investor of leading cannabis companies, Ample Organics, and Hydropothecary. 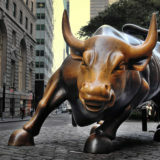 The round also includes a significant follow-on investment from NY-based, Core Strain Ltd., as well as participation from a number of Toronto-based capital funds. The company will use the proceeds for talent acquisition and to rapidly expand sales and marketing of its web platform across North America and into key international markets like Australia and Germany. The company will also continue to innovate its outcomes-tracking mobile journal for patients with symptom-specific measurement protocols and ethics compliance, developed together with medical advisors. According to a company statement, since February 2017, tens of thousands of medical cannabis patients have tracked over 500,000 medical records on Strainprint’s mobile patient journal, generating over 7 million data points on strain efficacy and patient use. It is the largest and most granular longitudinal study of its kind and its growing by 25% per month. It was also announced that investor Mr. Fazari will join Strainprint’s Board of Directors and will play an active role in strategic business development.